Are Base Layer Leggings a Good Investment for a Hiker? In the last post I added up on the site I went into the basic topic of base layers, in terms of what a base layer is and what purpose they serve. In that post, I touched on base layer leggings. To me they are the secondary part of the base layer duo (top and bottom). Why is that? Well, because I don’t use base layer leggings for hiking. In fact, I can’t really think of conditions I would normally hike in, in which I would need base layer leggings. I have hiked in temperatures of probably -5 C / in the 20’s Fahrenheit, so not intensely cold and I have had no need for anything but my normal hiking pants and my rain pants. Pictured below are the Duofold Men’s Mid-Weight Wicking Thermal Pant. I have also skied in the Alps in winter. For neither of these, would I have worn base layer leggings simply because they were just too warm.I should add that I did try hiking and skiing in them but I quickly realized I had to take them off, within minutes actually, especially for hiking, as I was baking hot in them. The only regular use I have for base layer leggings, is when I camp in cold conditions. I keep them as an extra layer in case I need it for warmth while sleeping at night. Although I always keep them in my weekend backpacking gear in late Autumn / Winter, I have never really needed them and my sleeping bag has been enough to keep me warm … It is comforting to know I have them there though so I always carry them when I camp at those times of the year. In saying all this though, do I envisage the possibility of a day hike where I would perhaps need base layer leggings? Sure I do. If the conditions were cold enough, I could see how they could be needed, even for me. I can also see how they could be a great emergency layer that is easily tucked into your pack. If you are heading out into more extreme cold, it becomes a no brainer of course and you would need them. 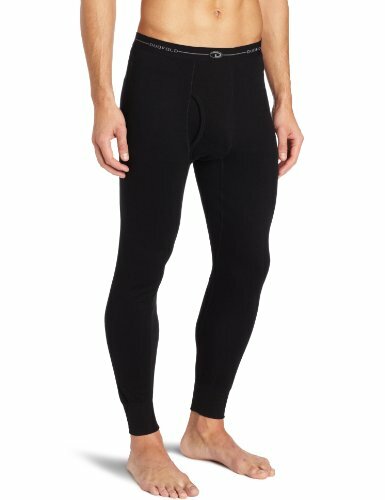 So are Base Layer Leggings a Good Investment? For me, in terms of hiking and camping, I think they are. This is purely as I use them as a spare layer to potentially use when I camp out in colder conditions. I don’t think they have much regular use for me for my normal hiking, however I don’t rule me out for hiking in very, very cold conditions I am not accustomed to where hiking leggings would be a must. Now, even for the types of conditions I normally hike in, a temperate climate, this may not be the case for you i.e. what works for me may of course not work for you. My Irish blood can put up with a fair bit of damp and cold by default :-), and so base layer leggings may be perfect for your needs in similar conditions that I wouldn’t need them for. As always, you need to take your own capabilities, comfort and needs into consideration. Some people can’t handle the cold at all, especially if they are used to a warmer climate. In conclusion, to reiterate, I think base layer leggings are a good investment for a hiker if they make sense for your personal hiking and camping needs. If you camp out in cooler conditions, that alone I feel is a good enough reason to get a pair for extra warmth in the night. You can get a cheap and cheerful pair that won’t break the bank easily enough anyway so even if you don’t use them a lot, you don’t have to spend a fortune to have them on hand. Merino Wool vs. Synthetic Base Layer’s, What’s The Best Option? In this article I take a look at merino wool base layers versus synthetic base layers, the pros and cons of each if you will, to help you decide which is the best option for you and your hiking needs. 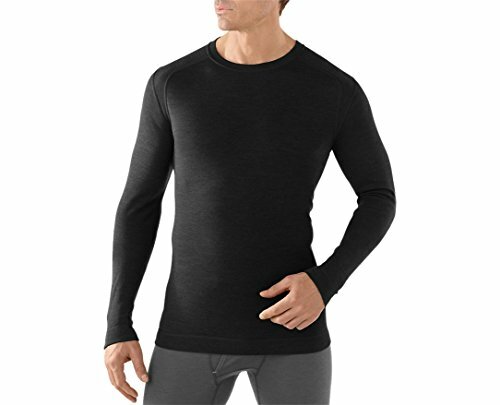 First off, I should mention that I am a relatively recent user of merino wool base layers. Many hiking friends raved about how great merino wool was as a material for a base layer, but for some reason it took me a long while to try them out. I was always pretty happy with my synthetic polypropylene base layers. They did the job well and so I guess the need wasn’t there as for me as much. However, I recently took the plunge after a friend contacted me about a great deal on merino wool base layers. I bought a couple in September with my winter hiking in mind. I have to say, they have not disappointed! Before getting in the detail of pros and cons and so on, it’s worth taking some time to list out what Base Layers are used for, just for those who are totally new to this. The process of layering is a critical part of your comfort and safety on the trail. In brief your base layer, which is what we are mainly concerned with here, sits next to your skin and serves to wick sweat and moisture away from it. Your next layer or two up is for warmth and your outer layer protects you from the elements outside. I won’t go into too much more that that at this point, but suffice it to say, if you’re new to hiking, it is a good idea to take the time to learn more about the process of layering. As mentioned above, the main purpose of your base layer is to wick moisture away from your skin. However, there is a further element of helping to maintain warmth and keep your temperature at a desirable level. Further still, comfort is always an very important consideration when it comes to hiking gear. In terms of warmth, the merino wool base layer excels. My merino base layers definitely feel warmer than my polypropylene ones. However, this is where it starts to get interesting, as is that really a pro? Well, if you’re hiking in winter, yes, it would be a pro, but if it’s a warmer time of year but you still need a base layer, then you may prefer the cooler synthetic option when you are also likely to be sweating more. In terms of comfort, this is again a funny one for me. I can’t say that my synthetic base layers are uncomfortable, they’re not. However, is the texture of the merino wool nicer on the skin? I would have to say yes, definitely. Pictured above is the Smartwool Men’s NTS Mid 250 Crew Base Layer, an excellent merino base layer option. The very first merino base layer I bought back in September was a non brand one. Why? Well, merino base layers aren’t cheap and there was an offer in a local department store on some merino stuff they got in, a one-off batch of it. While definitely not as thick and meaty as a good quality brand name one from say Smartwool, Icebreaker or the like, it came in at about 60% cheaper. With that in mind, I thought it was a good way to dip my toes into the wonderful world of merino wool to try it out. Having been pleased with the test run I then purchased some of the brand stuff which was of a superior quality for sure. Overall, in terms of price, synthetic base layers are broadly speaking cheaper than merino wool. However, I think you nearly always get what you pay for! What I touch on next, is again a funny one for me as I have never had this problem with synthetic base layers in terms of my own hiking but I do know some who do have an issue with it. Synthetic base layers are known to hold body odor more than merino wool i.e. any odor washes out of wool better. I do sweat a fair bit while out hiking on the trail but this hasn’t been a big issue for me. If you sweat a lot though, it could be something you may want to consider. In terms of looking after your base layer, I was used to throwing my synthetic ones into a pretty standard wash with no concerns. With merino wool however, you need to be a little more thoughtful as wool being wool, you need to wash and dry it appropriately, so always read the care label carefully! As stated, I am relatively new to the wonderful world of merino wool but in terms of durability, I would wager that my synthetic base layers will last longer than the wool ones. I have one brand name synthetic base layer which I have been using for nearly 8 years on and off and it is still doing just fine. Wool being a more perishable material, I don’t think I will get anything like that kind of lifespan out of my merino base layers. It is worth noting that there are mixed blend base layer options available too i.e. a mix of both merino wool and synthetic materials, so you could get the best of both worlds to some degree by trying those out. 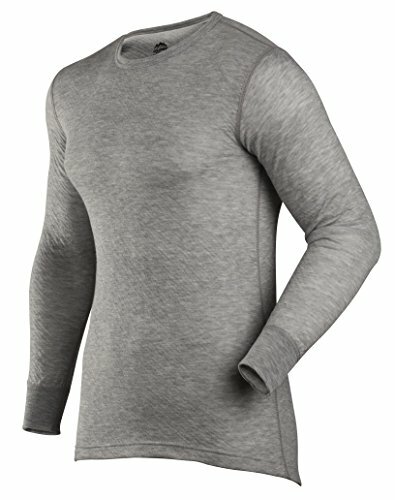 Pictured above is the ColdPruf Men’s Platinum Dual Layer Long Sleeve Crew Neck Top, made from a mix of polyester and merino wool. So, with all the above in mind, when it comes to merino wool vs. synthetic base layer’s, what is the best option? In my opinion, as with most things hiking gear related, there is no hard and fast answer. For me, using merino wool base layers in winter when it’s colder when I can use the extra warmth and comfort, makes sense. Similarly, in warmer temperatures when I still need a base layer, a synthetic option seems the better option for me as it tends to keep me cooler. Of course, the time of year is not the only factor, it obviously depends where you’re hiking, altitude and so on. Temperature is the main factor to be thinking about along how much exertion (and so sweating) you will be doing. In my opinion, it is wise to have both merino wool and synthetic base layers in your hiking gear collection. That way you can mix them up for use as you see fit and on a ‘what works best for you’ basis. I think that while there are pros and cons in certain contexts to both merino wool and synthetic base layers, it really comes down to your own personal experience and preference. Get one of each and see how you get on in different conditions, see what is more comfortable and so on. What do you think? Do you prefer merino wool to synthetic base layers? I’d love to hear what you think in the comments below.